Refreshing body mist with conditioning Aloe is infused with an aromatherapy blend of essential oils to boost body, mind & mood. 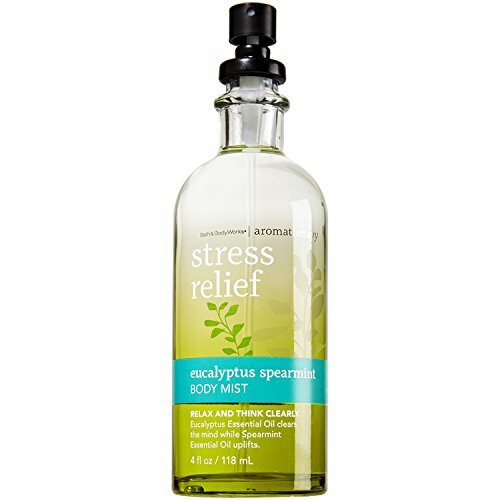 Eucalyptus Essential Oil clears the mind while Spearmint Essential Oil uplifts. Spritz all over body anytime you need to be uplifted. Breathe deeply for best results. Refreshing body mist with conditioning Aloe is infused with an aromatherapy blend of essential oils to boost body, mind & mood. Contained within a glass bottle with an environmentally friendly non-aerosol pump. Spritz all over body anytime you need to be uplifted. Breathe deeply for best results.